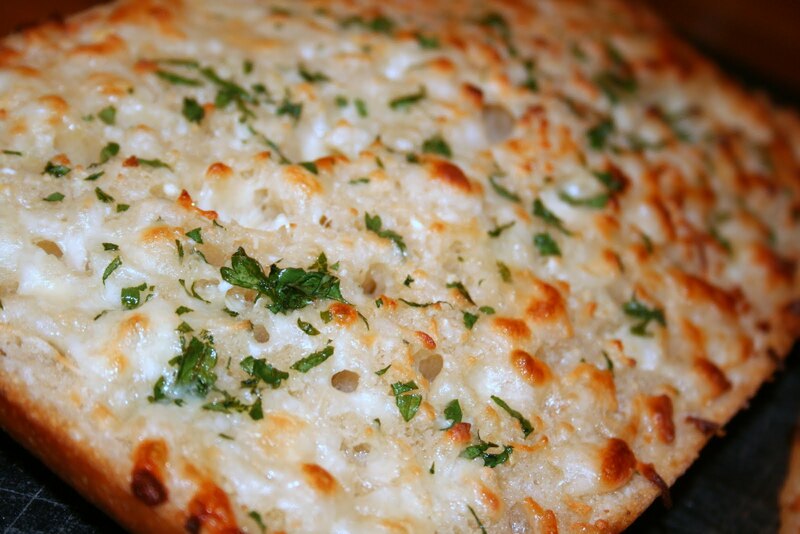 A good garlic cheese bread is something that is so easy to make, but always pleases. Yes, you can certainly buy pre-made garlic cheese breads from the frozen section of the grocery store, but it's just as cheap, and sometimes quicker, to make your own. For even novice cooks butter, garlic and cheese are often staples in your pantry and fridge so to make your own garlic cheese bread all you need is the bread (and maybe parsley if you want it or already have it, though it's not necessary). With Artisan breads becoming easier and easier to find at local bakeries, the bakery section of your grocery store, etc. it's certainly not hard to find. In just a few short steps you can have your own garlic cheese bread fresh from the oven and on your families dinner plates. And, what's better than the ease of making your own garlic cheese bread is the fact that you know every single ingredient you put in to it, whereas the premade stuff you never know what you're going to get, and can sometimes have that frozen aftertaste to it. Preheat oven to 400 degrees. Place both sides of the bread on a cookie sheet with the crust down. In a small bowl, combine butter and garlic, spreading evenly on bread halves. Be sure to press the garlic butter down with the back of a spatula so the small pieces of garlic are pushed in to the bread. Bake for 15 minutes and remove from oven. Increase the heat to 500 degrees, or change the oven setting to a high broil if your broiler is large enough to accommodate larger items - mine isn't :(. Evenly sprinkle cheese over the halves of the bread then sprinkle with parsley and stick the cookie sheet back int he oven. Bake at 500 degrees for about 5 minutes, or broil about 1 minute or until cheese has completely melted and some golden bubble marks show. Remove from oven and carefully slice in diagonal pieces and serve. Remaining pieces can be stored in the freezer in a ziplock bag to reheat later! This looks so good!! I will have to try this next time I make garlic bread.